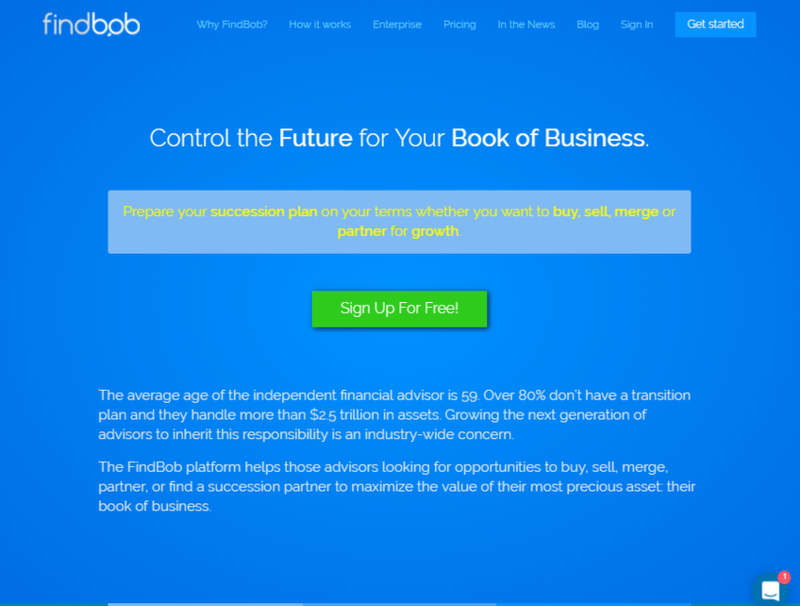 FindBob provides white-labelled enterprise transition management platforms for the financial services industry. It supports transition behavior among financial professionals and their firms (Carriers Agencies, Brokerages, RIAs) in order to perpetuate and protect their book of business. Company principals can take control of their futures on a secure digital channel and discover opportunities to buy, sell, merge, partner or address succession.